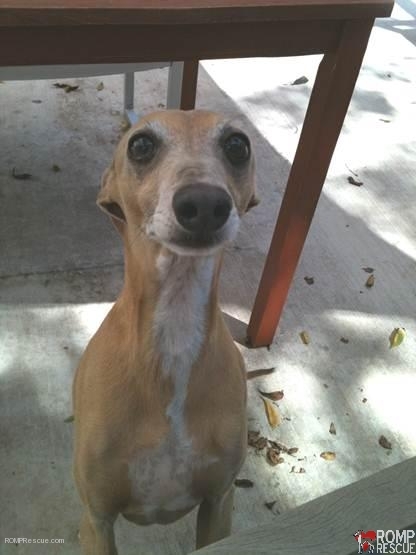 Bailey Cisneros is a lost Italian Greyhound dog in the Austin, Texas area. 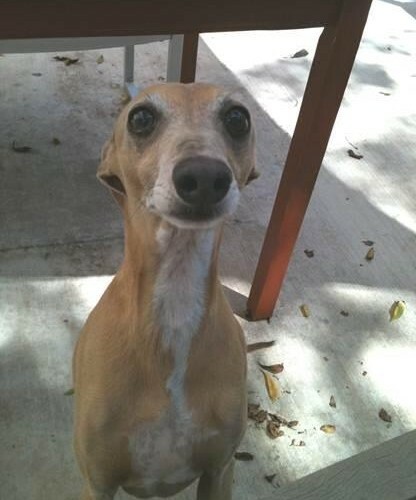 He went missing at 10am on 3-29-2013 in the Austin (East Austin, Town Lake Comal St/Holly St/Haskell St), TX 78702 vicinity near the intersection of Holly st / Comal St and Haskell St. Bailey Cisneros is a Male Italian Greyhound/ Whippet of tan color with a White chest; has smooth, very short hair with a lot of age/sun spots on his back. He is a small 10 year old adult dog and weighs about 15 lbs. Although friendly, do not chase! CONTACT: Thomas Horst or Carol Cisneros 512-694-2428 immediately if spotted! He was last seen at 10am, March 29th in East Austin near Town Lake at the intersection of Holly St/Comal St/Haskell St. Though he doesn’t act or look like it, he is 10-years old, 15 pounds, Tan/White Miniature/Italian Greyhound (some say he also looks like a Whippet). He has several sun/age spots along his back from sunbathing all his life. He also stands on his hind legs a lot and begs while moving his arms up and down. Any help would be sincerely appreciated during this time as we love him dearly and don’t know what we would do without him. This entry was posted in ALL, Lost dogs and tagged 15 pounds, 15lbs, austin, bailey, Cisneros, dog, dogs, found, found dog, found greyhound, found italian greyhound, found whippet, lost greyhound, LOST Italian Greyhound - Bailey, lost whippet, missing, missing greyhound, missing italian greyhound, pet, pets, puppy, tan, texas, whippet missing, white. Bookmark the permalink.